Seventeen poets, seventeen days, one typewriter. That was the pitch isle wordsmith Connor Sansby presented to the up-coming Margate Festival for a Poet-in-Residence scheme that has brought together poets, businesses, and funders from across Margate and beyond. The scheme will run throughout the festival, from September 14-30, and each day there will be a different Poet-in-Residence. 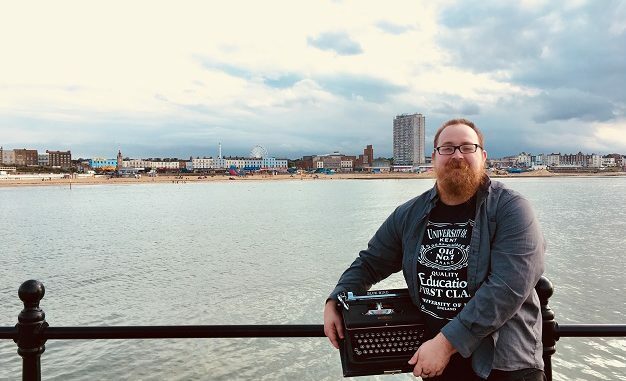 The venues hosting these poets vary from cafes and bars to visitor attractions and even outdoor locations, finishing with three days at the Margate Bookie festival. Margate Festival co-ordinator Jenny Duff said: “The Poet-in-Residence scheme adds a strand of mystery to Margate Festival 2018 and offers an unusual response to the Festival theme of NOW. The poets will report on and document their environments – and their reactions to them – as they are inspired by the sights and sounds of locations that have taken part in Margate’s current cultural renaissance. Connor is Editor-in-Chief of Whisky & Beards Publishing, a Margate-based micro-publisher specialising in poetry. 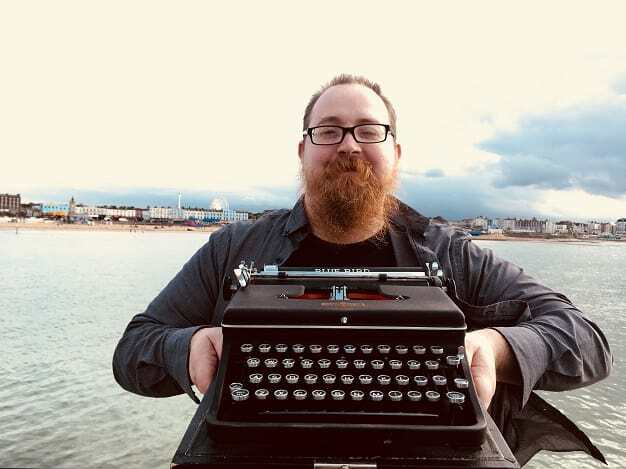 He is also the poetry editor for local community organisation and non-profit publisher Thanet Writers and runs and hosts Tongue Punch – a monthly poetry night at the Tom Thumb Theatre. Each of the 17 poets taking up a residency for the day will use the same 1952 Blue Bird Torpedo typewriter, which has been acquired especially for this year’s Margate Festival. Poets will create new poems, some of which will be given away for free to members of the public. The residencies are part of Margate Festival, in association with Whisky & Beards, Thanet Writers, Margate Bookie, Dreamland, Turner Contemporary, and Kent County Council. The Margate Festival has events at over 30 venues throughout the town. As welol as the poets-in-residence there will be sound installations, exhibitions, unexpected signs, projection, performance, workshops, print, poetry, drama, photography, painting, walks, tours, video and film screenings, shared food and experiences.